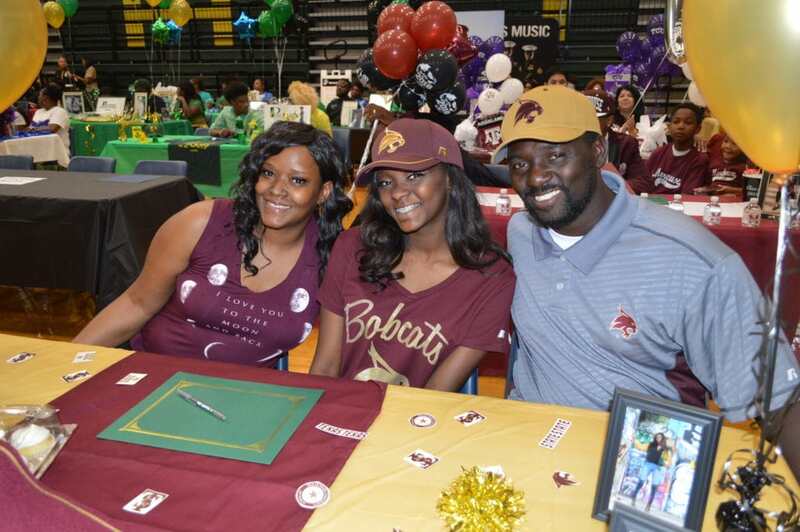 DESOTO—On May 18, DeSoto High School hosted an Academic Signing Day for the Class of 2018. Sixty-eight DHS scholars accepted full academic or military scholarships for college. The Class of 2018 has been a class of champions on the field and in the classroom earning to-date almost $12M in scholarships. This class has earned numerous athletic and fine arts awards over the past three years including: state titles in football, boys and girls track, and boys basketball and 29 Academic All-State football players; UIL top rankings in band and choir and 20 Music Scholars; Ma’At Step Team National Champions; Eaglettes Drill Team National Champions and much more! 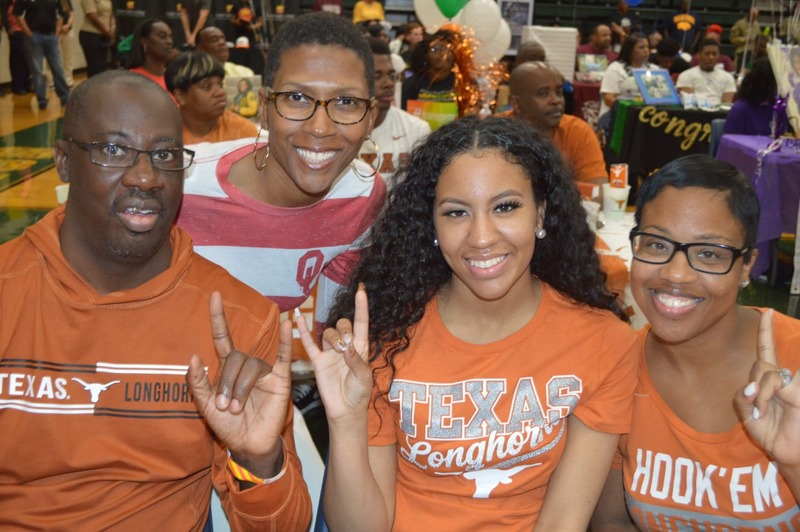 The students featured in the May 18 Academic Signing Day event will have their tuition covered through several different avenues such as; scholarships, grants, Hazelwood/GI Bill funds, and/or Tuition Exemption for Current or Former Foster Care Students under the Conservatorship of the Texas Department of Family and Protective Services (TDFPS). Additionally, 12 students will be enlisting in the military and approximately 10 student-athletes signed National Letters of Intent, due to their inability to sign on Athletic Signing Day in December. The total amount of scholarship money reported for the Class of 2018 is $10,189,743.44 (number does not reflect all athletic scholarships), which could boost that total more than $12M; however, those eligible to participate in the academic component of Signing Day have a total of $8,986,601.44 (number reflects all possible avenues listed above). DeSoto ISD is a public independent school district serving more than 9,800 students and 1,200 employees. 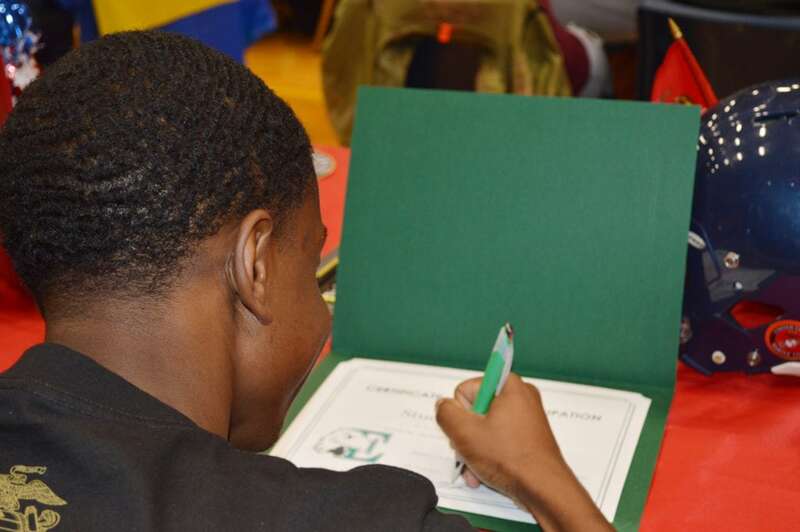 The district is comprised of 13 campuses serving students from early childhood through graduation.